Villa Queen Resort & Spa, the newest and only 5 star resort located on Gili Trawangan, one of Lombok Island oasis. Villa Queen Resort & Spa, Gili Trawangan can be reached by public boat from Bangsal Harbor, fast boat from Benoa & Padang Bai Harbor Bali and direct flight from Jakarta, Surabaya, Denpasar and Singapore to Lombok International Airport. Gili Trawangan island is kissed by the sun with incredible sunrise over Rinjani mountain and amazing sunset as mount Agung in Bali as idyllic back drop combine with warm hospitality from the locals. 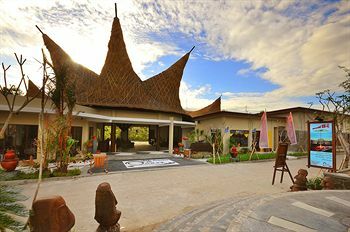 Enjoy a quality accommodation featuring plush facilities, unique interior and exterior design with great services for complete 5 star hospitality comforts in Gili Trawangan. 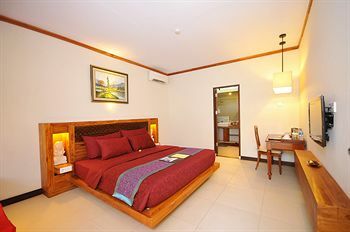 Villa Queen Resort & Spa 125 rooms equipped with 5 star standard facilities such as; LCD TV, Coffe makers, comfortable Spring Air Bed matters and private pool for Luxury Villa & Royal Villa. Queen's Spa at Villa Queen Resort & Spa offers cozy treatment rooms, each with full spa facilities, outside terrace and lounge area. A fresh and inspiring experience to add to Gili Trawangan’s dining out scene, Le Queen features an intimate yet upscale place to see and be seen that will surely add extra rhythm to the island’s pulsating enjoyment of dining out. The most unique night club in Lombok located by the beach, a place that cuts across cultures and cliques. A place that celebrate the diversity and energy of the pioneering human spirits and its constants search for exploration and adventure. Relax by the lagoon swimming pool and enjoy a cool, refreshing cocktail. The poolside bar is a great place to hang out chat with other guests and soak up the Indonesian sun. Located on the lobby level facing the main commercial area. Dragon Imperial Chinese Restaurant at Villa Queen Resort & Spa is the only Oriental Restaurant in Gili Trawangan and designed to recreate a classic Chinese cuisine.